This month we speak to Leo Wong, Managing Director of RGAX Asia, the global innovation accelerator of RGA. Prior to joining RGA, Leo was with Bosch (China) Investments, where he led the company’s strategic investments and partnerships in innovations in autonomous driving, artificial intelligence, sensors, and human/machine interfaces. He has also served as Head of Business Development for Siemens Healthcare in China. We recently spoke to Leo about his views on China’s digital insurance landscape. Q.1 In the face of increasing competition from local Chinese companies, how can western insurers compete with Baidu, Alibaba, and Tencent (BAT)? The first step to competing with BAT is to acknowledge that they are fierce competitors, and that these internet giants have set their sights on insurance and related financial services as their next growth engines. We must also respect the fact that they have both the financial and human capital to execute many of these goals. Many western Multi-Nationals Companies (MNC’s) are still viewing BAT through US-dominated media lenses. As a result, their views are usually superficial, often distorted, and sometimes just wrong. Sun Tzu says in The Art of War, “Know your enemies and know yourself, so you may prevail in every battle.” Therefore, we must make a broad executive commitment to understand the Chinese market and these new competitors. Next, we can leverage our traditional advantages. MNC’s still lead the BAT in in-force management and claims data, as well as international business experience. It is not easy for internet companies to replicate the decades of actuarial science excellence and long-term claims handling experience we have developed. We can also scout out the best technologies globally where we have a history of operations. BAT does, however, have substantial access to Chinese data, and so MNCs will need to continue to develop their expertise by partnering with the best engineering and scientific minds globally to compete. Q.2 The notion of an ecosystem seems especially relevant in China (Ping An Good Doctor or China Life retirement homes for example). Why do you think we don’t see the ‘ecosystem’ phenomenon in the west? Culturally in China, there is indeed a pervasive concept of creating a “platform,” and many Chinese enterprises aspire to expand into multiple businesses. In the case of internet and insurance, one of the reasons for this phenomenon is that sometimes the “core” business was designed to be a means to an end. For example, it is very common for insurance companies in China to lose money in certain product lines, such as auto insurance. You may ask: why do people still want to get into a money losing business? Some got into the insurance business due to insurers’ ability to raise very low cost capital. This cheap money then enables them to expand into adjacent domains. It is this strategy, coupled with the advent of digital transformation that explains much of the tactics of these companies. Q3. Insurance companies are increasingly using advanced simulations to project losses more accurately, thus lowering the need for re-insurers. What can re-insurers do to stay relevant? Forecast models improve all the time. Yet, the traditional value propositions of reinsurers remain valid even with this improved modeling. Re-insurers still, and will foreseeably, act as risk transfer agents due to differences in risk profiles. That said, to remain competitive and profitable, re-insurers must be the agent of advances in not only modelling, but also lead the industry in machine learning, data science, and life sciences. Q.4 Which will have a bigger impact on the insurance industry, blockchain or AI? It is impossible to predict the impact of one technology over another with certainty. Practically speaking, I don’t think it is a useful exercise anyway. Our job is not to predict the future, but rather to create one. We aim to create a future of insurance using the best tools available. Q.5 The China Insurance Regulatory Commission (CIRC) is imposing strict regulations on the development of digital insurance in China. Do you think there’s a risk that CIRC could stifle innovation through too many rules and restrictions? Government interference is always an exogenous factor, thus we have to closely monitor their moves. Usually, CIRC is rational in their decision making. The key to innovate in China is to have constant, open and friendly dialogue with the regulator. Q.6 RGAX has a broad mandate to invest and partner with startups across Asia, have you made any investments yet? Which tech trends are you most interested in. RGAX has great interest in AI, big data and life science startups, as these three areas are very relevant to our mission – to transform lives together. We invest and partner globally, and we have successfully partnered with more than 30 companies in just 3 years. For example, we are a limited partner in Sierra Ventures, based in Silicon Valley. We also partnered with two North American startup incubators, Boost VC and Cookhouse Lab, invested in a Palo Alto-based company called Omniscience, and acquired a group called Logiq3 to help expand our US and UK market. In China, we just started this year, but have already made an early-stage investment in Xiaobang Guihua, an online insurance platform for individuals and families to manage their wealth according to their own needs, which also provides access to specialized financial planners. Q.7 Most insurers and re-insurers have innovation units and labs, what differentiates RGAX from these other initiatives. As RGA is one of the largest reinsurers focused only on health and life reinsurance, we have deep expertise in the areas. Another differentiator is our open innovation services. For example, Cookhouse Lab started in Toronto, Canada, as a place for companies and individuals to collaborate to solve big insurance industry problems and create new products and business models. Since then it has launched pop-ups in the UK and Germany. For RGAX APAC, we are going to take these methodologies and insights, and bring them to the Asia Pacific region to help our customers solve local market pain-points such as navigating new distribution channels, how AI can make claims handling more efficient, and how to understand customers through lifestyle data. At RGAX, we also use an additional tool – multi-discipline innovations. Our team comes from backgrounds ranging from computer science to biochemistry to strategy consulting, in addition to insurance. 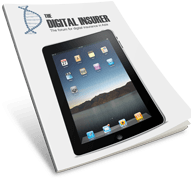 This allows us to digitize L&H insurance and compete from a different perspective. We are looking forward to working with insurers, brokers, internet firms, investors, media firms, and start-ups as we grow in the APAC region in 2019, so please get in touch! 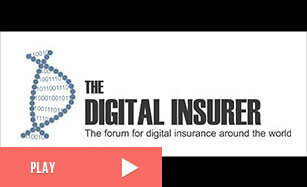 Michael O’Dwyer is a contributor to The Digital Insurer. Based in Shanghai, Michael has a law degree from University College Cork.